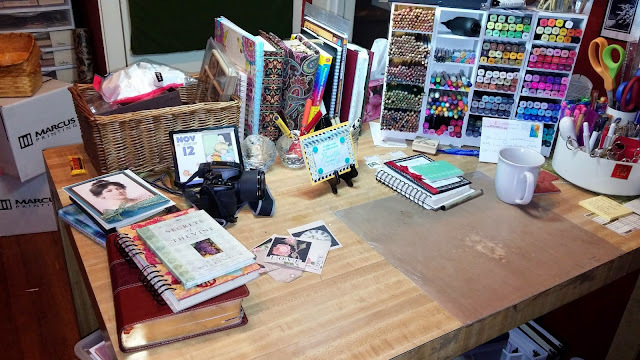 It is that time again and you can join the fun over the pond at Julia's blog, the Stamping Ground and take a world wide blog hop of crafty desks! My desk to day after a mad frenzy of 'getting ready'! I'm actually going to be making a few cards this am and getting them mailed! I mentioned last week I am going to a crafty retreat this weekend! As well as crafting I am selling paper and other 'Maxam Made' goodies. Here is is all packed up and waiting in my garage/all purpose extra room/ for loading. 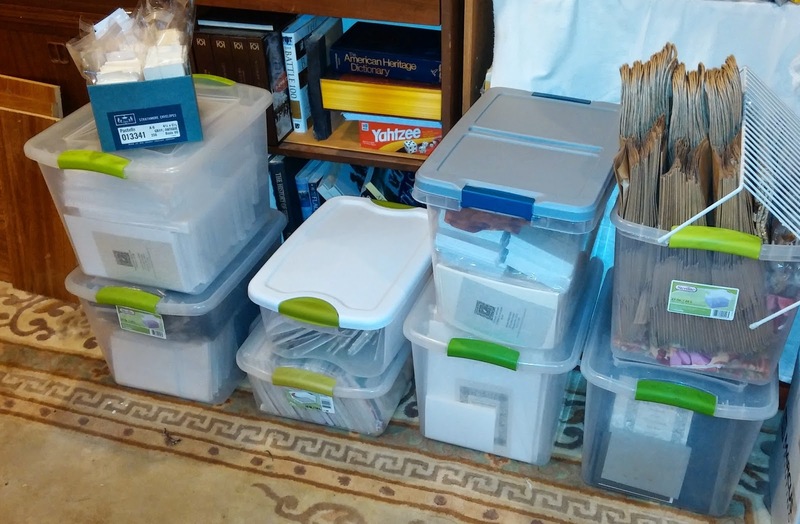 Card Stock, kits and envelopes. what I am taking for the weekend crafting stuff: Note paper bag of snacks! Goods thing I have a SUV!! 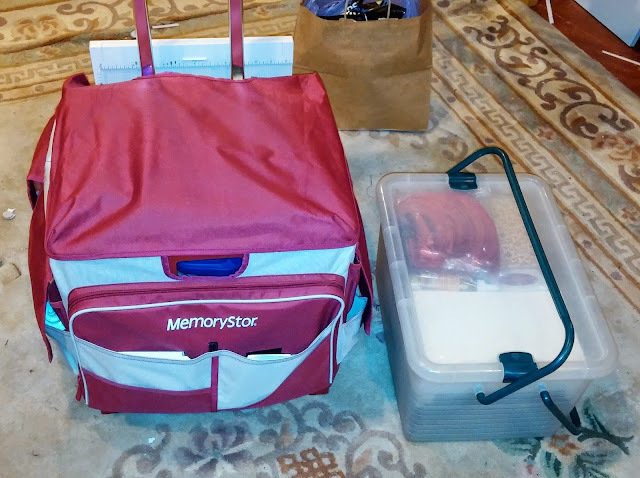 I went to a quilting weekend a few years ago and had a great time, I brought 2 sewing machines and two tubs of stuff, 1 gym bag with clothes and personal things. I picked up my roommate thinking I had too much stuff. Well lets just say my roomie must have thought my SUV was going to be an 18 wheeler, I thought then never will I bring so much stuff to one of these things that it dominates me and creating - I just hope I bought enough!! I am bringing my laptop so I hope to be sharing the fun! Wow, look at your desk all tidy. Have a great crafty time! Wow! I hope you have a really good time. 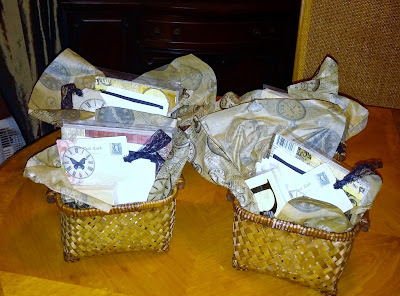 Gifts for your room mates? How sweet is that! They look really nice gifts too. Lucky room mates!